1 - Cambridge Utd (Nat Conf) v Notts Co XI/Kett'g (PSF's - Tues 02/08); 16pp; £1.50; 3*. 2 - Stoke City (FC) v Sheffield Wednesday (Sat 06/08); 68pp; £2.50; 4*. 3 - Leicester City (FC) v Stoke City (Tues 09/08); 80pp; £3.00; 4*. 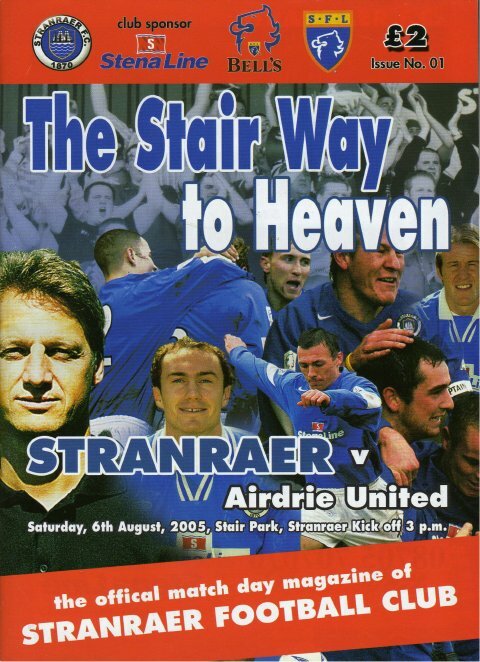 4 - Stranraer* (Scottish League) v Airdie Utd (Sat 06/08); £2; 36pp; 2*. 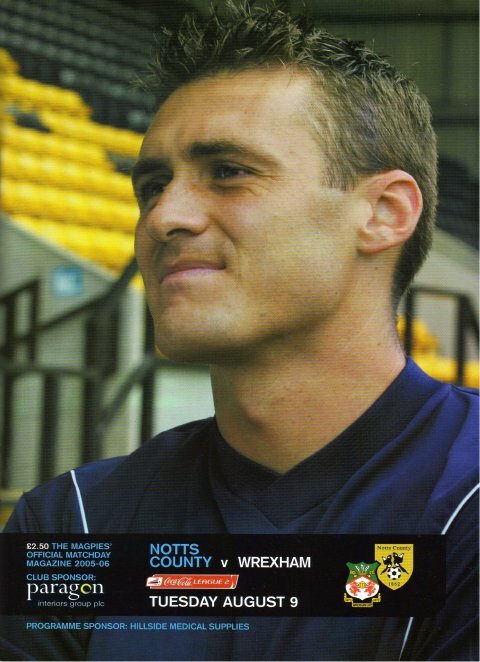 5 - Notts County* (FC2) v Wrexham (Tues 09/08); £2.50; 64pp; 3*. 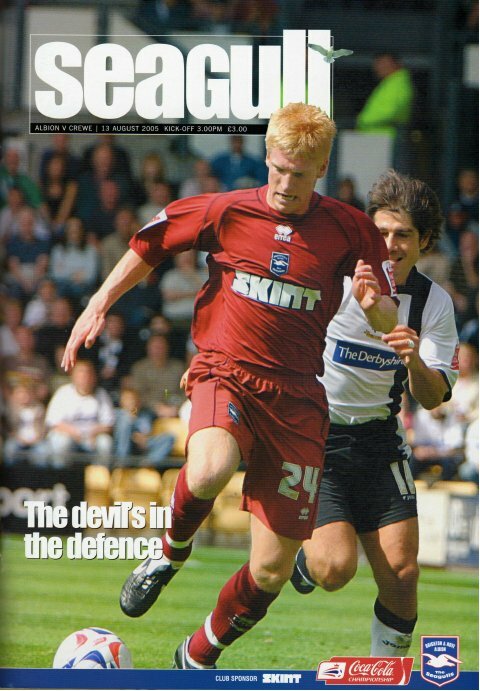 6 - Brighton* (FC) v Crewe Alex (Sat 13/08); £3; 72pp; 3*. 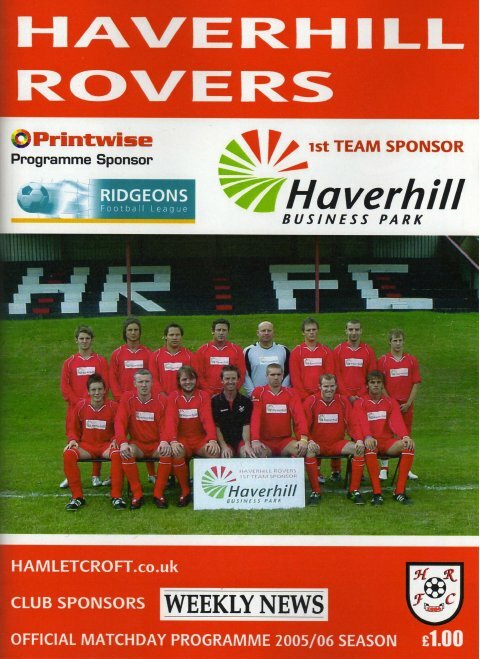 7 - Haverhill Rovs* (ECL) v Debenham LC (Tues 16/08); £1; 36pp; 2*. 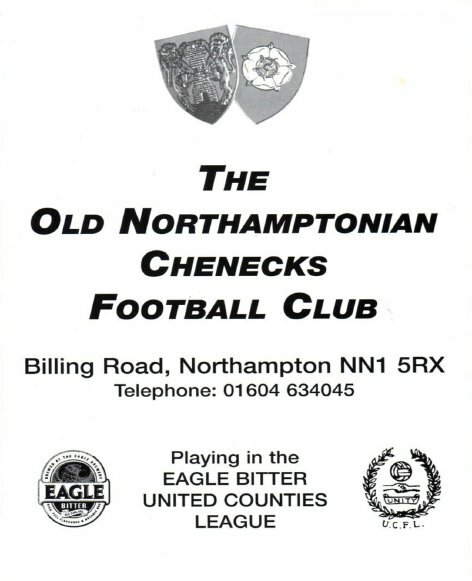 8 - ON Chenecks* (UCL) v Sileby Rangers (Fri 19/08); 50p; 20pp; 2*. 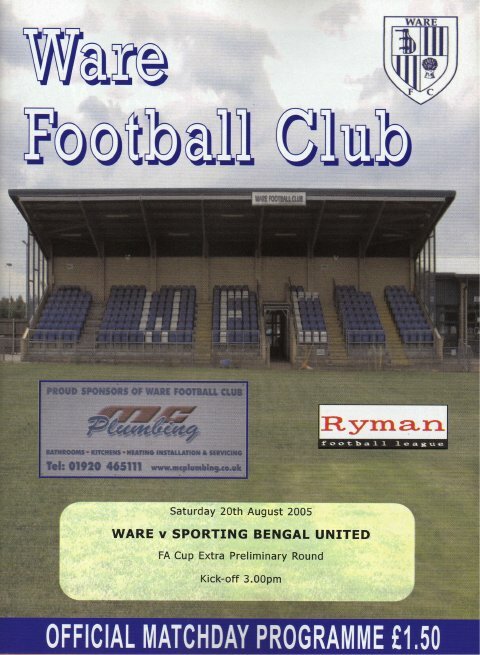 9 - Ware* (Isthmian 1) v Sporting Bengal (FA Cup extra prelim. rd) (Sat 20/08); 4*. 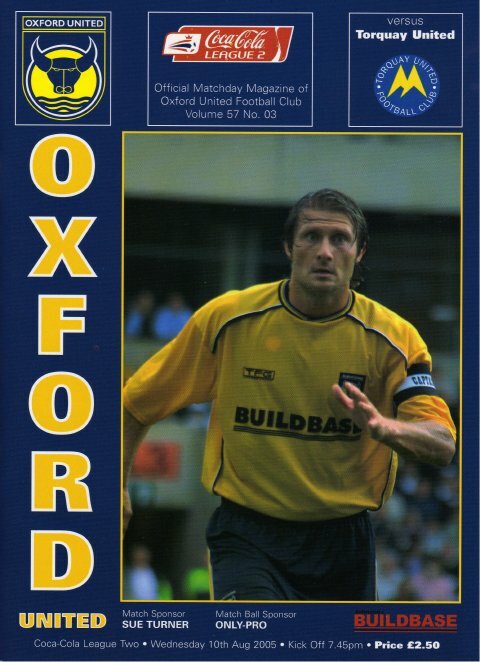 10 - Oxford Utd* (FC2) v Torquay Utd (Wed 10/08); £2.50; 54pp; 2*.